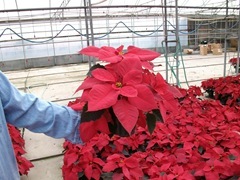 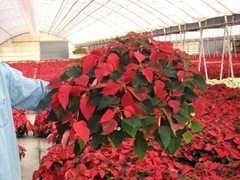 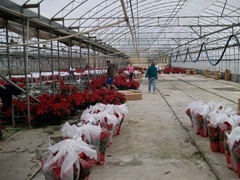 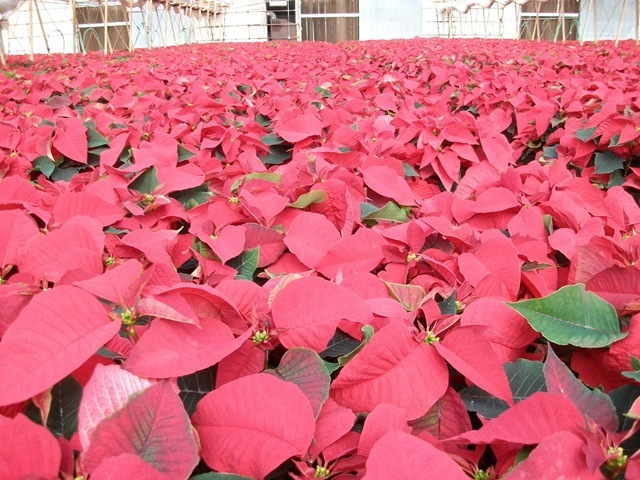 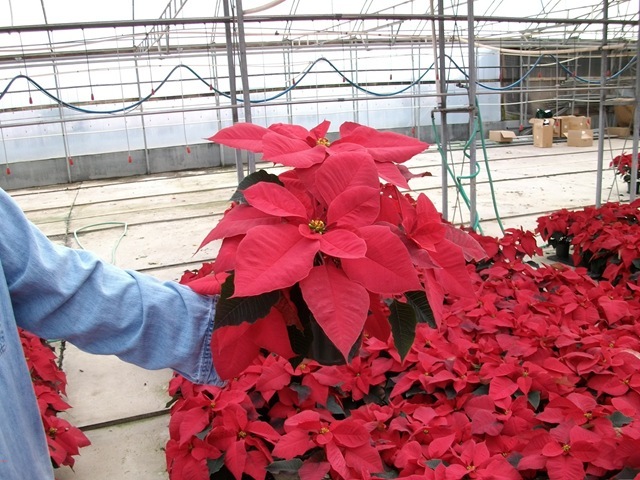 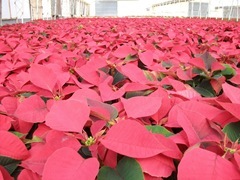 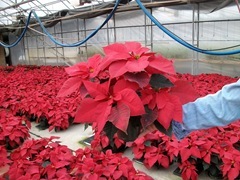 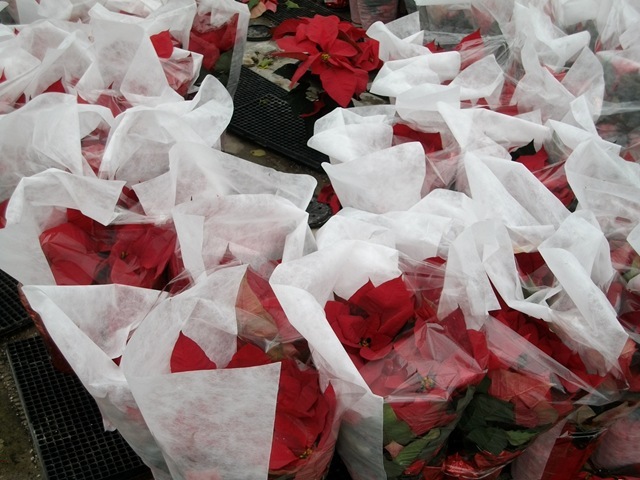 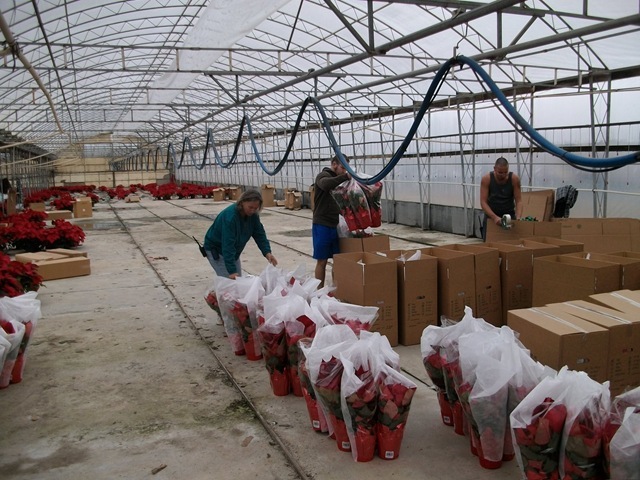 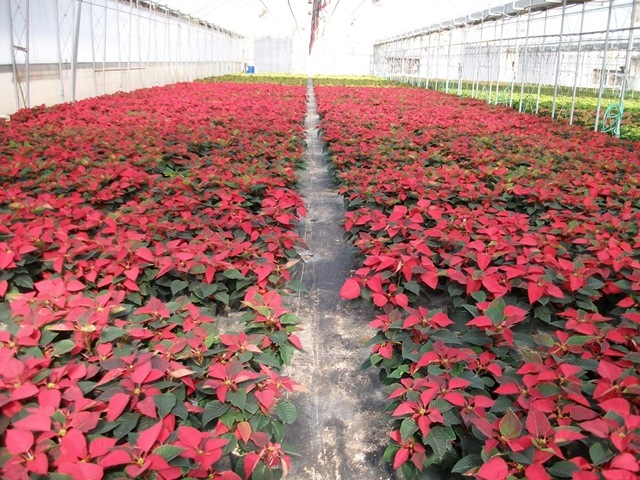 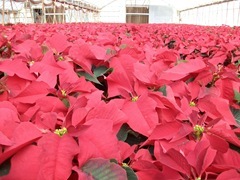 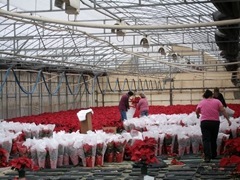 Here are some pictures and a quick video of the crew packing poinsettias today. 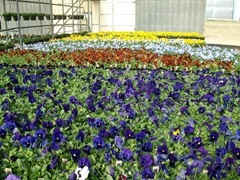 It’s been really busy for me around here. 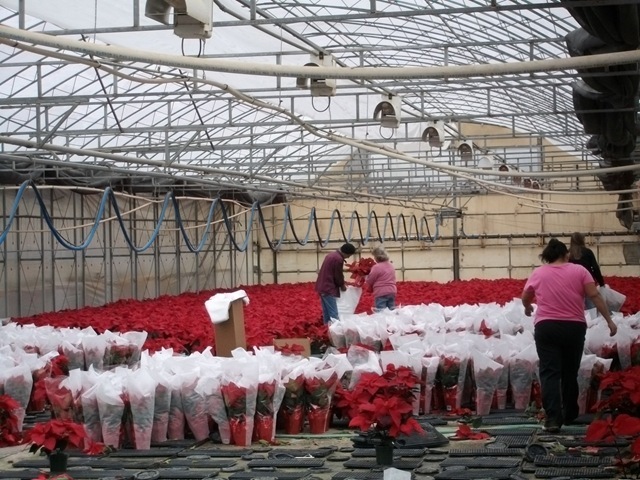 I am still working on spring scheduling while simultaneously getting started on next fall’s mum numbers and getting a head start on next year’s poinsettia production too. I took some time off last week and never managed to get a new post up on the blog. 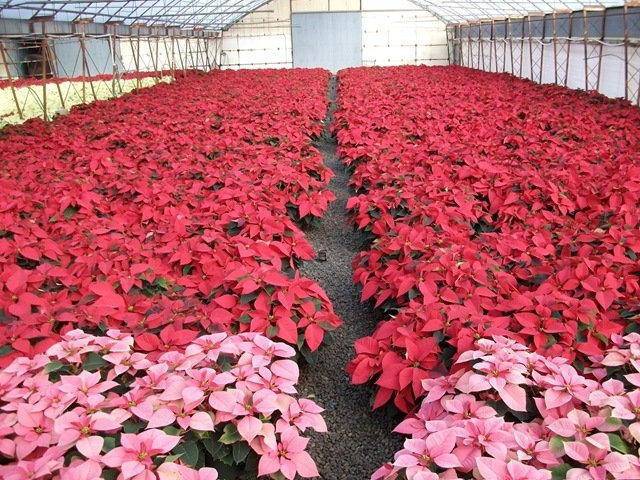 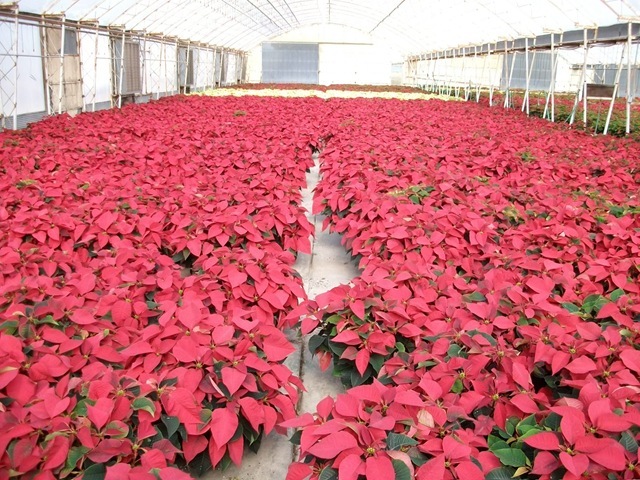 We are sold out of this year’s poinsettia crop and have a waiting list for any that may come available from any cancellations. We are also getting started on next year’s numbers like I mentioned. 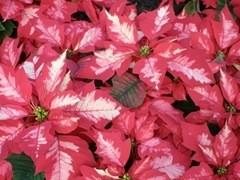 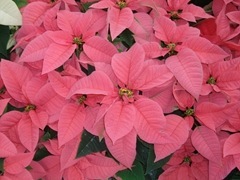 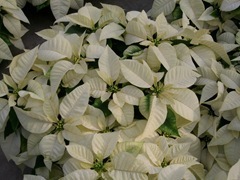 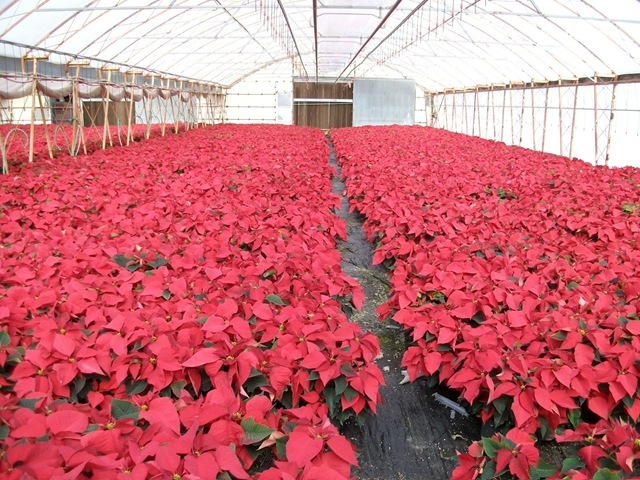 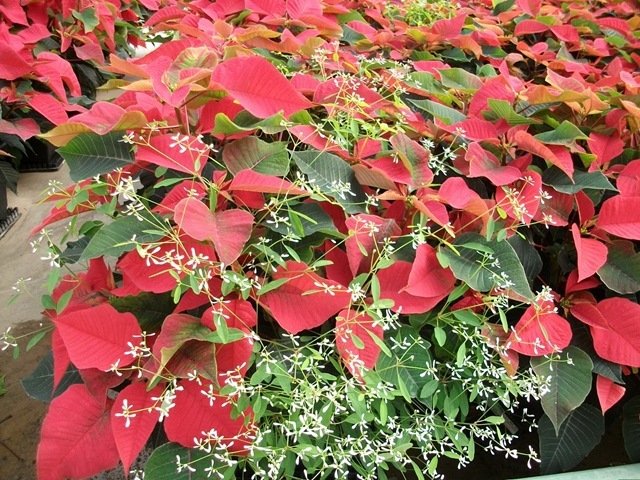 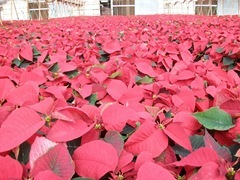 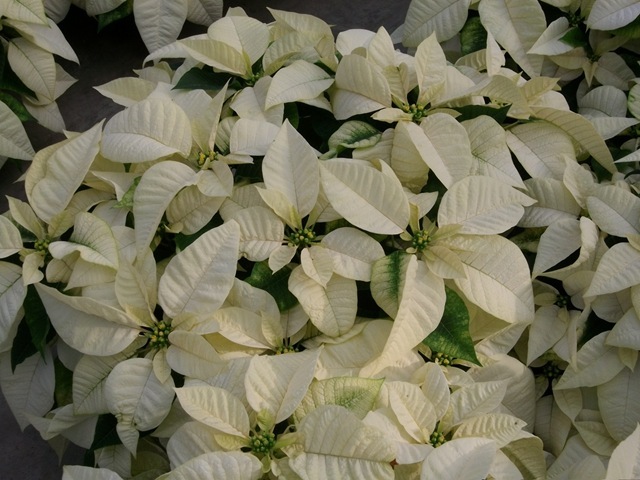 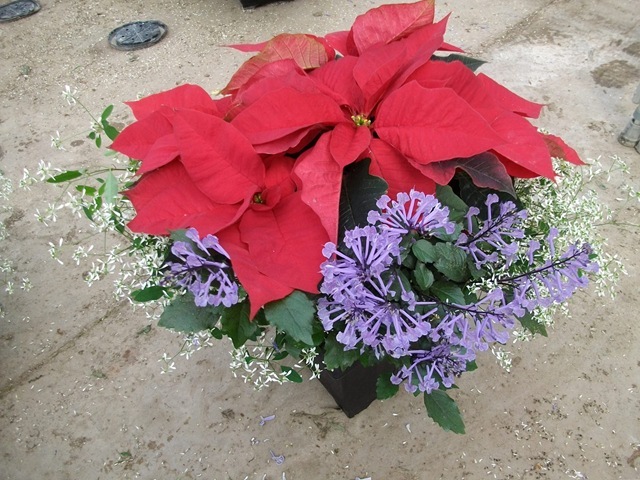 So if you were late in ordering and were not able to get any poinsettias from us this year, we are already taking orders for 2011. 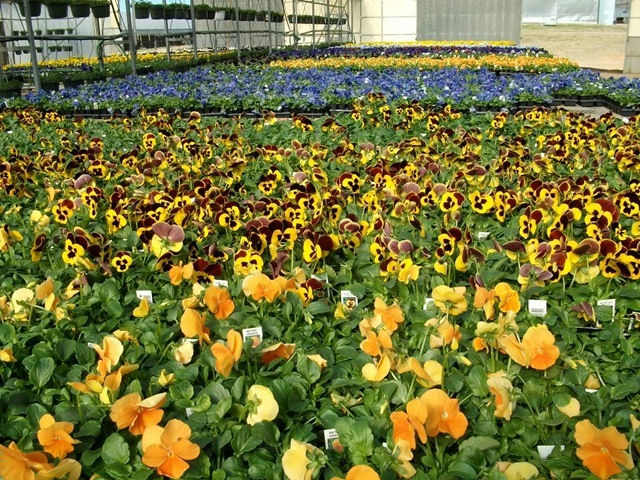 If you order now, you can get locked into our 2010 pricing and have the peace of mind of having that checked off your “To Do” list. Over the next couple of months, we will be working hard to add new content to our websites so even though we won’t have much going on be sure to check back here and see what’s new. 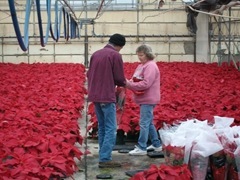 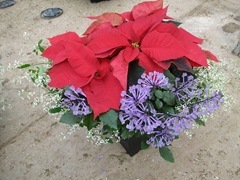 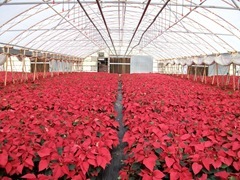 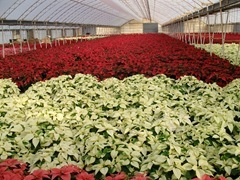 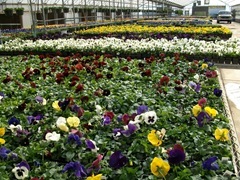 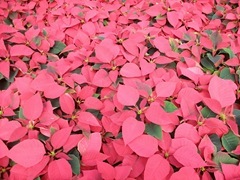 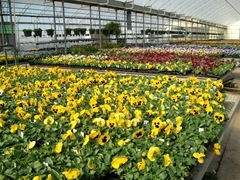 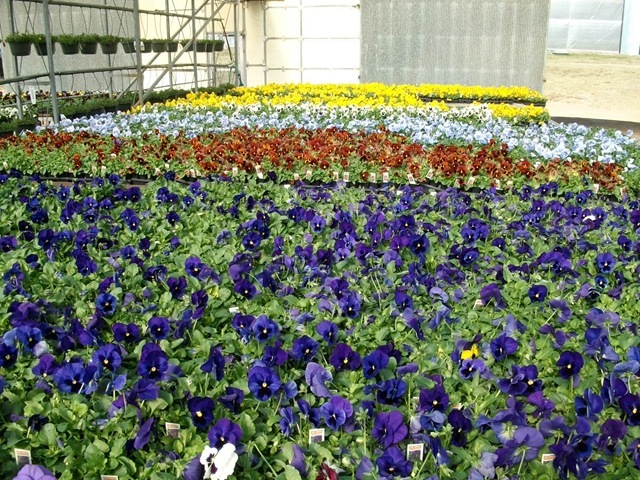 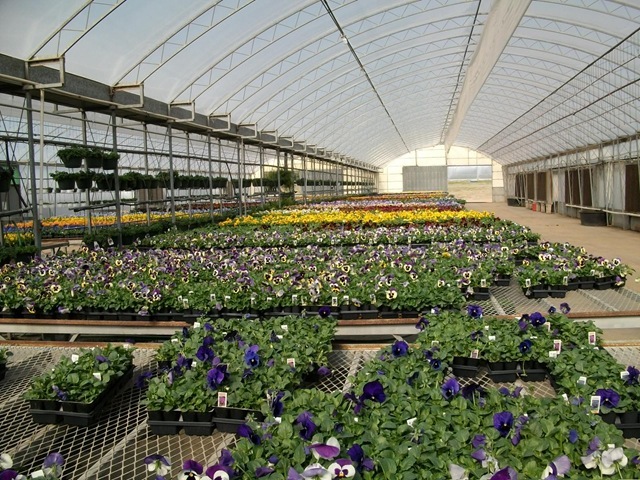 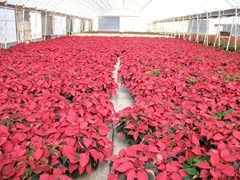 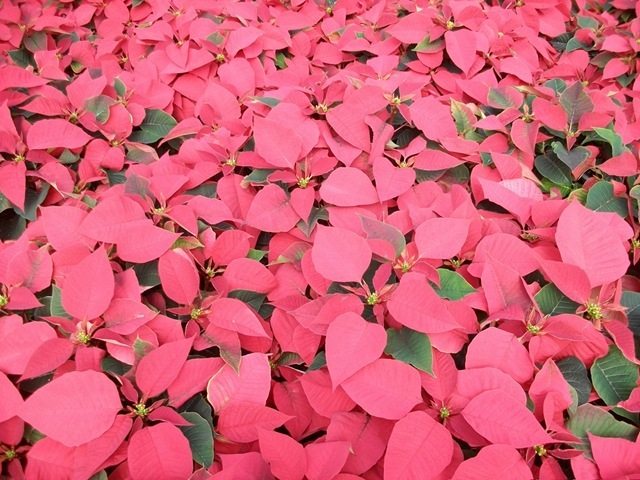 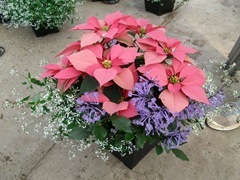 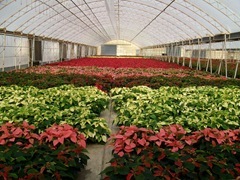 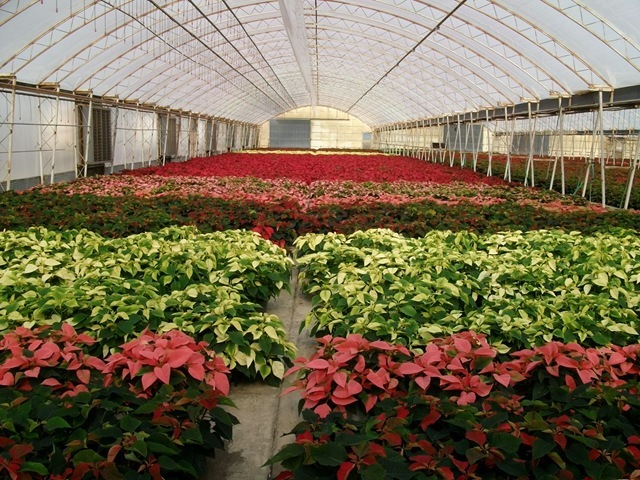 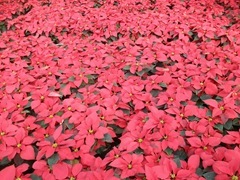 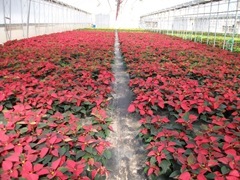 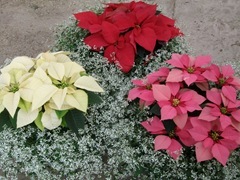 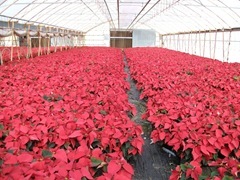 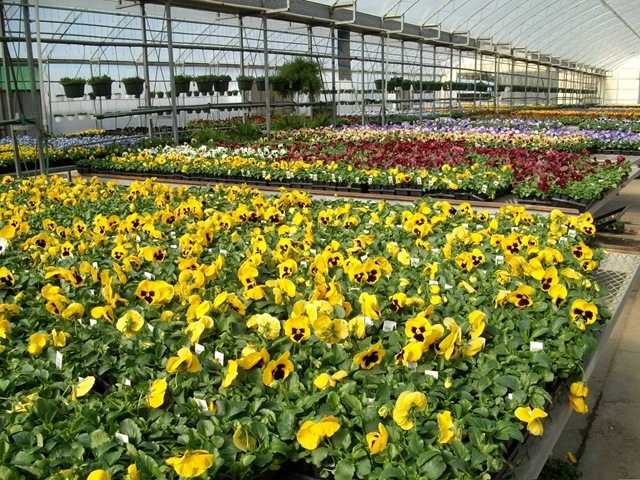 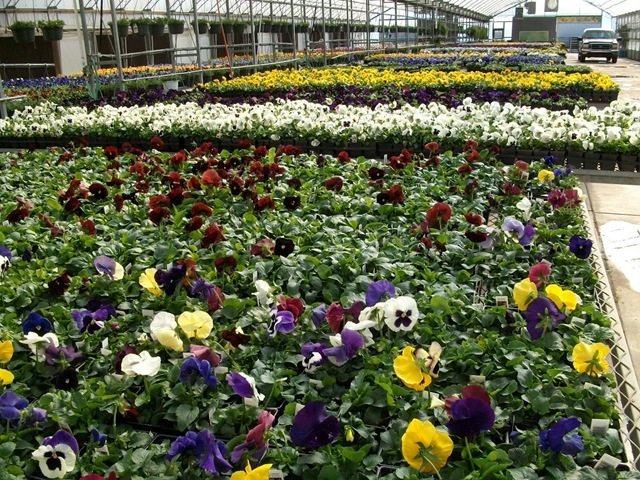 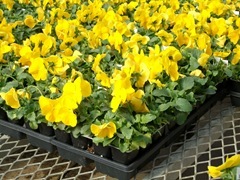 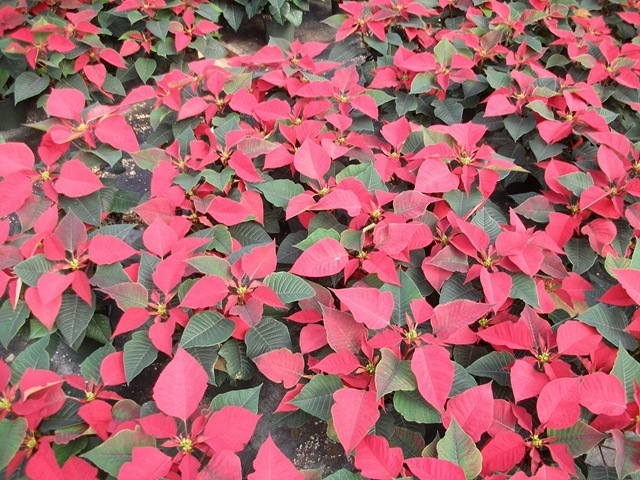 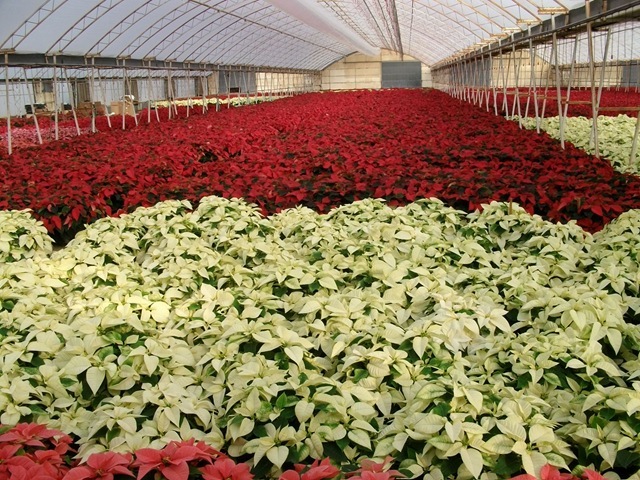 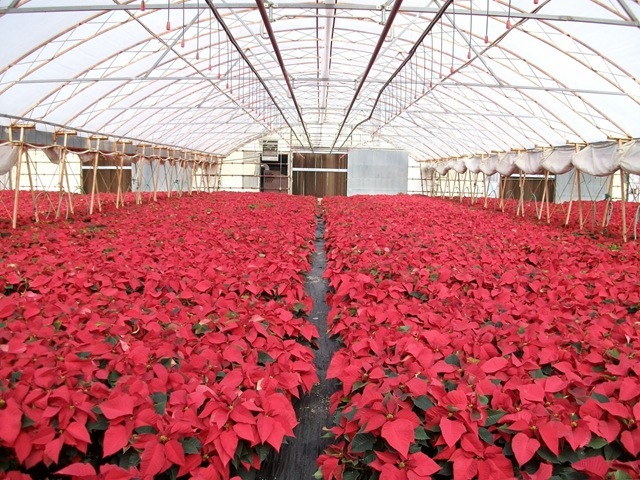 The pansies and mums are winding down and we are gearing up for the poinsettia season. 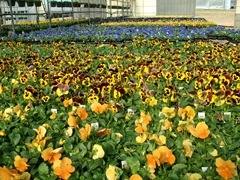 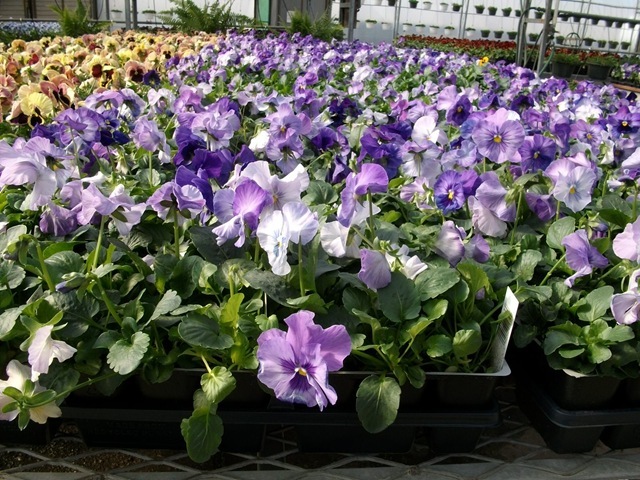 We still have pansies available, but we are sold out of poinsettias. 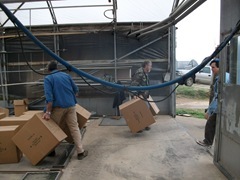 Sorry that there aren’t more pictures. 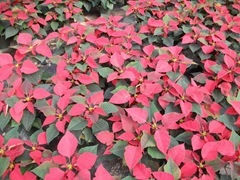 My battery is dead in my camera and since I am so late getting this posted today there is not enough time to recharge and take more pictures. 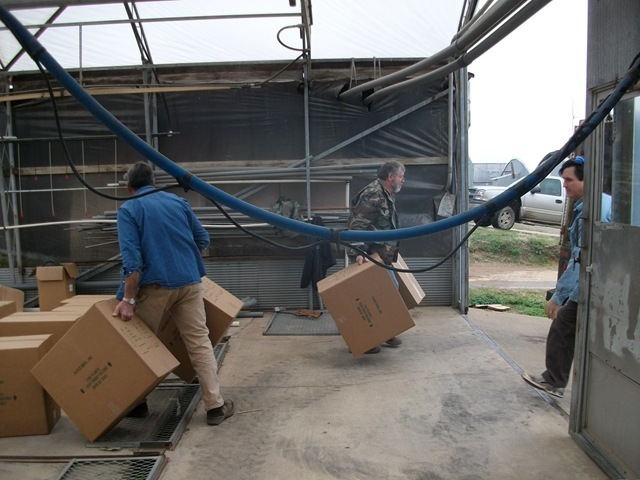 Technology hates me. 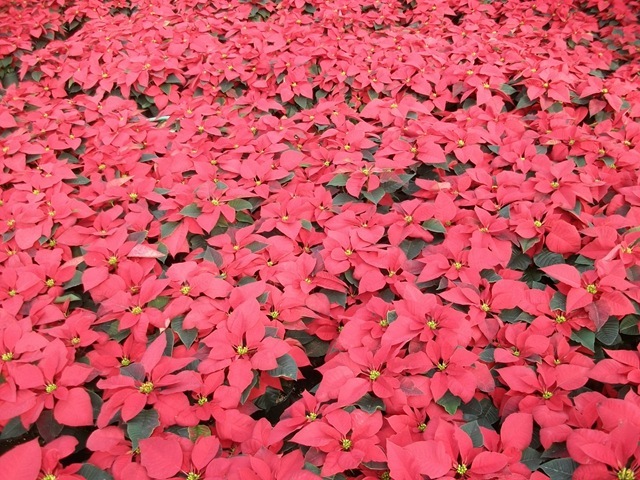 … and then the battery died.